Basics of Faith - Welcome to our church! The Church of God movement appeared in the 1880s in the midst of the broader American Holiness Revival. The pioneers of the Church of God hoped to restore a more biblical understanding and practice of what it means to be the church. One of our early church songs says: "The Bible is our rule of faith and Christ alone is Lord." This lyric still summarizes the core belief of Church of God people. We have not issued any official belief statement, and we have no formal creed. Below you will find statements that reflect the heart of the Church of God. You will find a great diversity of convictions and practice within the Church of God. Though we have differences, we share a common story of faith, growing together into the fullness of Christ (Ephesians 4:13). We worship and serve as citizens of God's kingdom. We celebrate our life in Christ and accept our call to be the body of Christ in our world - all to the glory of God. Salvation makes us members of God's church. We believe that the church is composed of every person who has accepted Jesus Christ as Savior. We enter into the life of the church, not by joining a denomination or a human organization, but by committing our lives to Christ (John 3:1-7). For more information about the Church of God movement, please visit www.jesusisthesubject.org. 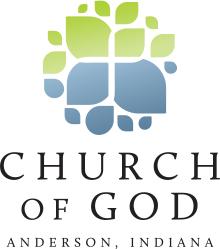 Additional materials on the beliefs of the Church of God can be found here.